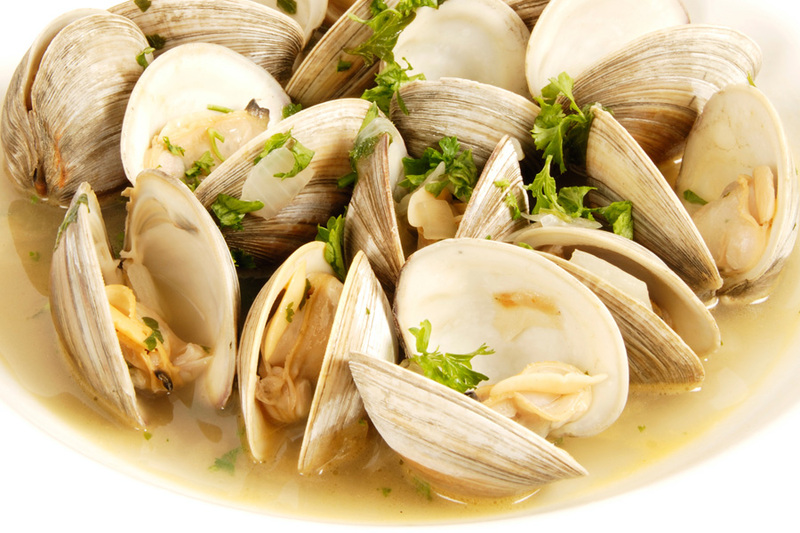 The name “clam” covers a wide variety of bivalve molluscs found along Canada’s Atlantic coast. Quahaugs (Mercenaria mercenaria) are found from the southern Gulf of St. Lawrence south to the Gulf of Mexico. Bay quahaugs, like bar clams, are hard-shelled. These bivalves have a thick, hard greyish-white shell. Quahaugs range in sizes. Little necks are 1 inch thick to 2 ½ inches long, top necks or cherrystones are 2 ½ to 3 inches and chowders are 3 inches and up. 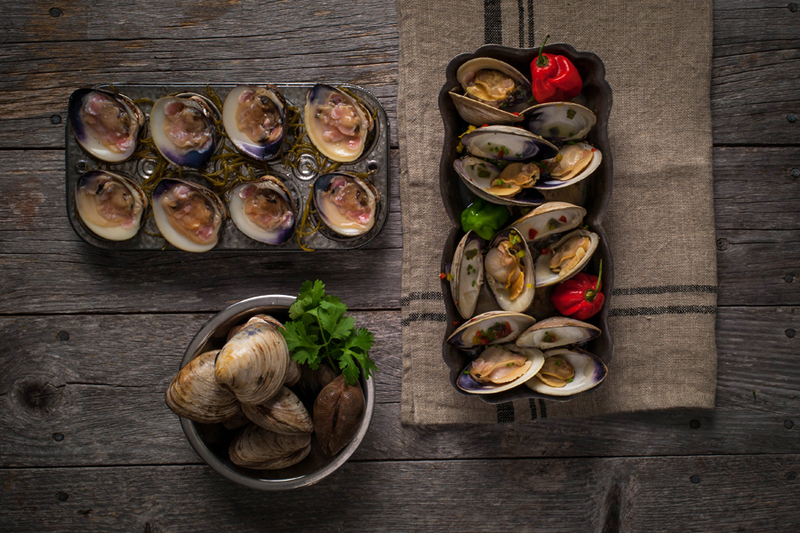 Today, Prince Edward Island quahaugs are some of the highest quality shellfish available. The quahaug industry is composed of two major components: commercial and recreational. Quahaugs are traditionally fished in Prince Edward Island at low tide by hand. In areas where beds are covered by several feet of water, either tongs or long- handled rakes are used from small boats. All fishing activity is regulated by a minimum legal size and the recreational fishing is also restricted to a personal daily bag limit and season. Quahaugs are enjoyed mostly steamed in the shell. 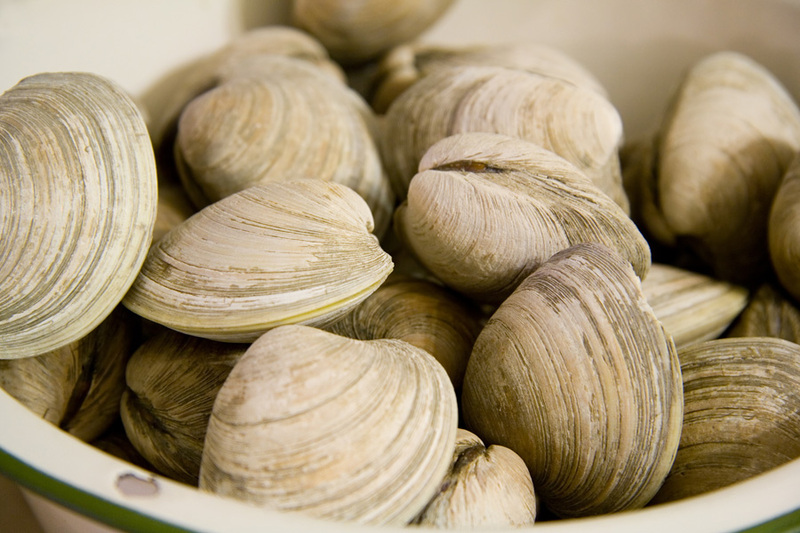 They can also be added to chowders and stews or enjoyed fried.